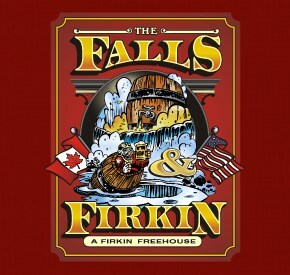 We're the only Firkin Pub located in the Niagara Falls Region, right below Fallsview Casino! The entrance of our pub is through the food court so some might say we're hard to find but trust me, we're worth finding! We're known for our great food, wonderful atmosphere and without marking up the prices because of our location. The reviews don't lie! Being right around the corner from the Avalon Ballroom, makes us the place to visit if your seeing a show or concert, drop on by for a couple of drinks or a bite to eat! You never know which star you'll see!